Police believe an accused gunman -- who they say had already shot and killed his wife at a Maryland high school -- was trying to carjack someone when he shot and killed two more people at two separate shopping centers Friday. Montgomery County Police charged 62-year-old Eulalio Tordil with two counts of first-degree murder, two counts of attempted first-degree murder and four counts of use of a handgun in the commission of a felony in connection with Friday's shootings. Tordil also has been charged with first-degree murder and related charges in connection with the fatal shooting of his estranged wife at High Point High School in Prince George's County Thursday. He’s also charged with assault for shooting a person who went to Gladys Tordil's aid at the school, where she went to pick up her children. Police believe he shot a total of six people from Thursday afternoon until Friday morning. Police monitored the Maryland shootings suspect for more than an hour before they got the opportunity to move in and arrest him without incident. Tordil was arrested Friday afternoon after a hours-long manhunt that frightened many residents of the Washington, D.C., suburbs, forcing officials to heighten security at schools and government buildings. Dramatic surveillance video shows officers in unmarked cars swarm Tordil's car and surround him with guns drawn. 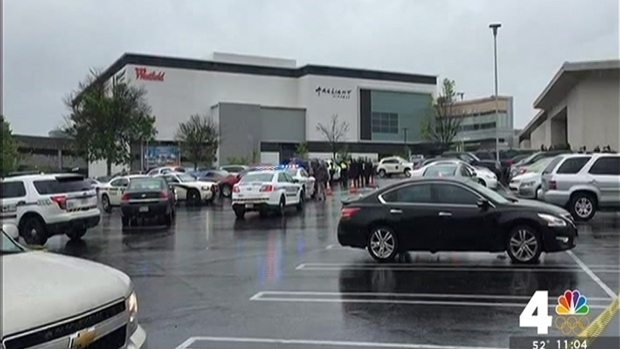 Earlier Friday, police patrolling Westfield Montgomery mall in Bethesda about 11 a.m. happened upon a shooting scene in the parking lot, police said. Police believe Tordil was attempting to carjack a woman when two men went to her aid. The woman and the men were shot, and one of the men, 45-year-old Malcom Winffel, died. 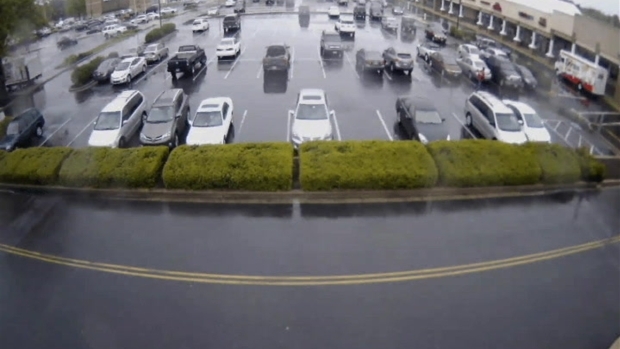 “He was attempting to take her car, and these two men stepped in to assist her,” Montgomery County Police Assistant Chief Russ Hamill said. “In an instant, the female victim cried out for help. These two men acted selflessly and heroically, not only coming to her aid, but likely saving her life. These men are heroes. "Malcom Winffel gave his life for somebody he doesn’t know in order to protect her from a predator,” Hamill said. One witness told News4 the woman was walking toward Macy's when a man approached her and asked where she was going. When the woman didn't answer, the suspect reached into his car, pulled out a gun and began firing. Tisha Thompson reports on the timeline of the shootings that haunted D.C.'s suburbs in Maryland Thursday and Friday. The woman was shot in the shoulder, the witness said. The woman suffered non-life-threatening injuries. The second good Samaritan is making progress in the hospital, police said. 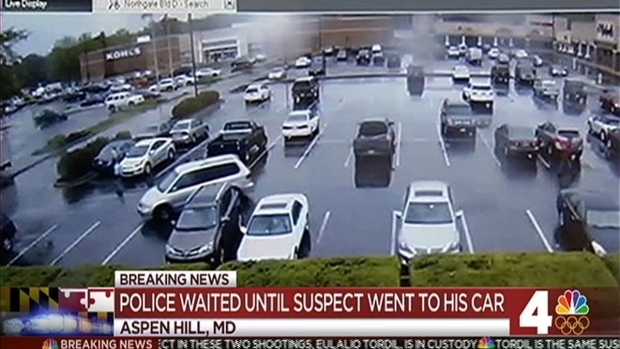 As police investigated that scene, they received a 911 call reporting a shooting outside the Giant grocery store on the 13000 block of Connecticut Avenue in Aspen Hill, Maryland, about 8 miles northeast of the mall. Investigators believe Tordil shot and killed 65-year-old Claudina Molina in another carjacking attempt, Hamill said. Police recovered a .40-caliber Glock handgun from Tordil's car and confirmed it was used in both Montgomery County shootings Friday, Hamill. They have not confirmed if it was the same gun used to Tordil's wife Thursday, but they said they believe it is likely. Tordil had worked as a Federal Protective Service employee. Shortly after the shooting at the mall, police began piecing together it likely was the same shooter from High Point High School, Hamill said. Montgomery County Police had been in communication with Prince George's County Police about that homicide since Thursday night. The shootings Friday struck fear in the D.C. suburbs. 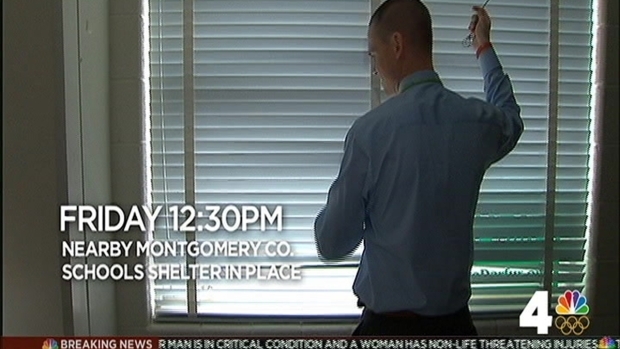 Students and staff at all Montgomery County schools sheltered in place for some time Friday. Lockdowns were in place at other institutions in the area, including Suburban Hospital in Bethesda. The National Institutes of Health main campus was on "heightened alert," a spokesman said. In a ghastly coincidence, the shopping center where Tordil was arrested is within sight of the scene of one of the 2002 Beltway sniper shootings, which remain all too fresh in the memory of many people in the D.C. area. Hamill was on the force at that time and said Friday's shooting immediately called the sniper to mind, but it was pure coincidence. The anxious hours ended when Montgomery County police officers in plainclothes spotted Tordil's car. 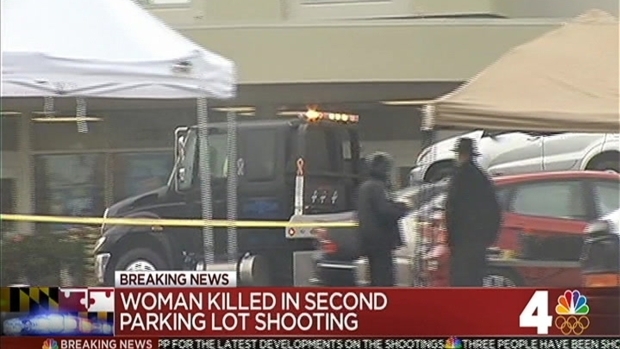 It was parked in a shopping center across Connecticut Avenue from the shopping center where the second shooting occurred Friday, Montgomery County Police Chief Tom Manger said. Officers then spotted Tordil himself going from business to business, including into a Boston Market, where he ate, and into a Dunkin' Donuts. A couple of security cameras recorded video of the arrest of a Maryland shooting suspect. Officers watched Tordil, choosing to surround his car and wait. "Knowing that the suspect was armed, knowing that the suspect had made statements about what he intended to do, we needed to make sure the public was safe when we took him into custody," Manger said. "Our fear was that he was armed. 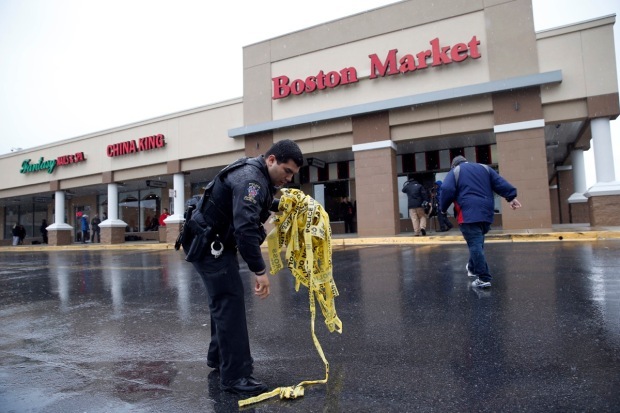 Since he had already shot four people, we certainly did not want any other bloodshed here," Manger said. "The plainclothes officers waited until it was safe to take him into custody, and that's what they did." Surveillance video shows Tordil walk to his car with what looks like a bag of ice. He steps into the car, shuts the door and then officers in unmarked cars surround him, bumping the car and effectively forcing him to stay inside. “Those plainclothes officers put themselves at direct risk at that point because that’s what they signed on to do in order to stop anyone else from being hurt by a known armed murderer at that point,” Hamill said. Officers took Tordil into custody without incident or injury and drove him away from the scene. A family is devastated after a husband and father of two children was shot and killed Friday at Montgomery Mall. News4's Kristin Wright reports. “I would not describe him as being remorseful for the events here in Montgomery County,” Hamill said. On Thursday, police believe Tordil shot and killed his estranged wife and shot and injured a man who tried to help her about 4:40 p.m. Thursday at High Point High School in Beltsville, Maryland. Gladys Tordil, who was 44, was a chemistry teacher at Parkdale High School in Baltimore County, Maryland, the school said in a letter to parents. "Ms. Tordil was a beloved staff member. Students will be deeply affected by her death," the letter said. The District Court of Maryland for Prince George's County ordered Tordil in March to stay away from his wife, her home, her workplace and High Point High School -- where police said he killed her, court documents show. News4's Darcy Spencer reports from outside the Giant grocery story where a woman was shot and killed Friday. She was one of three people killed by a man who is suspected of terrorizing Maryland suburbs for two days. Gladys Tordil told the court Eulalio Tordil beat her and sexually and physically abused two children. In 2010, he slapped her so hard her glasses broke on her face, she told the court. She had filed for divorce, court documents say. The court allowed Eulalio Tordil to use his work-issued firearm while he was at work. He was instructed to leave it at work during non-work hours. His service weapon was taken from him after the restraining order was filed, and the sheriff's department where Tordil lives confiscated all the weapons in his home, Hamill said. 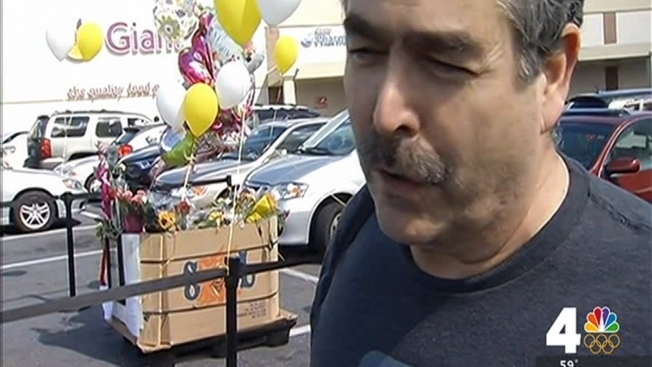 Police believe he somehow obtained another gun that he used in this week's shootings. Eulalio Tordil is being held without bond. He's due in court Monday. It was not clear if Eulalio Tordil had an attorney.